Dave Upton of Home Theater Forum reviewed the Anthem Statement A5 and was very pleased with it's sonic muscle - so much so that he gave is his "Highly Recommended" stamp of approval. 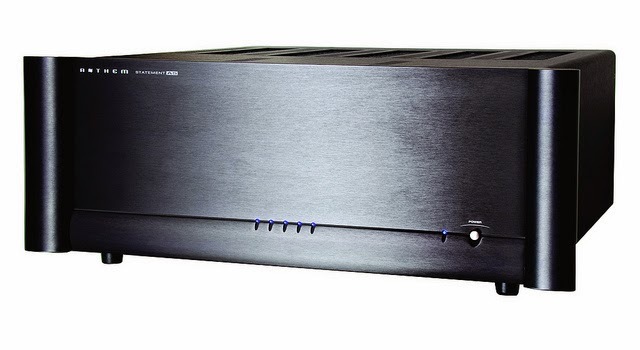 "......amplifiers are the cornerstone of your entire system and once you go with separates, they are an investment you can enjoy for decades if you so choose. It is through that lens that one has to evaluate a product like the Anthem Statement A5. There’s no mistaking Anthem makes high dollar, bulletproof gear no matter what they are building. In the case of the Statement A5, Anthem has delivered a product that while expensive, is worth every penny. For anyone looking for a truly superb all around performer that can go toe to toe with the best two channel digital amps while still functioning as the foundation of a high SPL no-compromise home theater, the Anthem Statement A5 deserves to be right at the top of your short list. Highly Recommended." Click here! to read the A5 review from Home Theater Forum. Click here! to learn more about the Anthem Statement A5.